Now that the holiday roller coaster has come to an end it’s time to kick-start your bridal beauty plan for the New Year. These five simple tips will help ensure that you are the most beautiful you on your wedding day. As an added bonus you’ll be building great beauty habits that will have continued benefits beyond your wedding day. Keep your hair healthy with regular trimming. This simple tip will keep those split ends at bay, reduce breakage, help you retain length, save you time with easier styling and give you a thicker/fuller look. And I don’t know about you but having my hair washed at the salon is just about the most relaxing thing you can treat yourself to. For the good of your hair skin and health make water your go to drink! Our bodies are made of 50-70 percent water that includes our skin. Drinking plenty of water helps fight the effects of dehydration and helps rid our bodies and our skin of toxins. Water is essential when it comes to maintaining optimal moisture and elasticity (slows the effects of aging) and helps increase your metabolism. The fountain of youth is right there in the next glass. It’s also Vegan friendly, has no carbs, no sugar and it’s organic (LOL). Get those brows in shape! Don’t experiment with this one… find one person and stick with them. 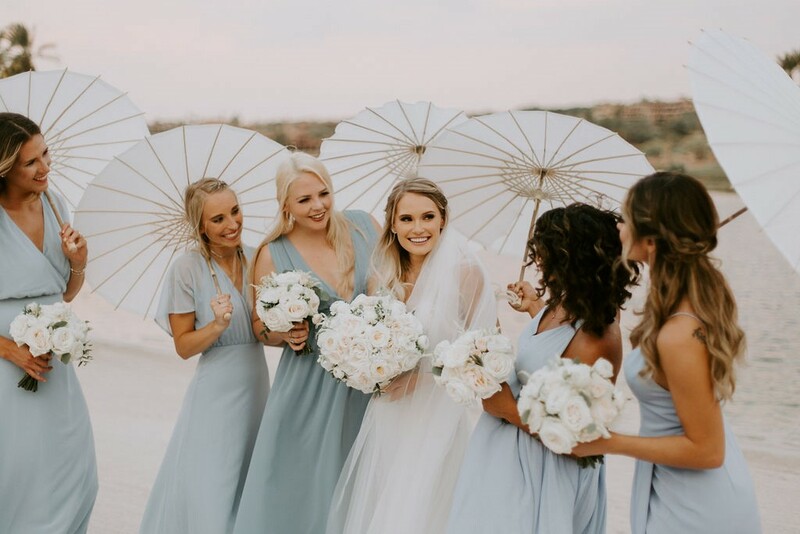 They are the MOST important feature of your face and you’ll want to keep your eyebrow game on point as you get ready for your “celebrity moment”, the walk down the aisle. Eyebrows frame the entire face and if your frame isn’t balanced it can throw your entire look off center. Look for bold brows to continue to trend in 2019, seek out a licensed technician and leave the maintenance to the pros. Not sure if you should wax or thread? Read more about beautiful bridal brows here. Commit to a great skin care routine! Your wedding day is a good motivator to start a good skin care routine and to start building some great new habits to take care of your skin. Sticking to a daily routine is tough for most of us making it easy to procrastinate, your wedding date gives you a deadline which helps add some urgency in getting this habit in place. If you don’t have a regular beauty regimen in place now we have some tips here to get you started. Invest your time in you… YOU’RE WORTH IT! Lastly our final bridal beauty tip for you today includes a moment for some shameless self promotion…. Book Makeup In The 702 TODAY! In all seriousness and honesty we’d love to be a part of your very special day. Please take a moment and click here to be directed to our contact page. Simply fill out the very short form and submit and get he conversation started. Makeup In The 702 provides on location hair and makeup services in the greater Las Vegas area. To check our availability for your wedding day, schedule a trial or request your custom proposal, CLICK HERE. You deserve the very best on your most beautiful day.